Are you enjoying the taste of fresh berries these days? They are absolute favorites in my family. 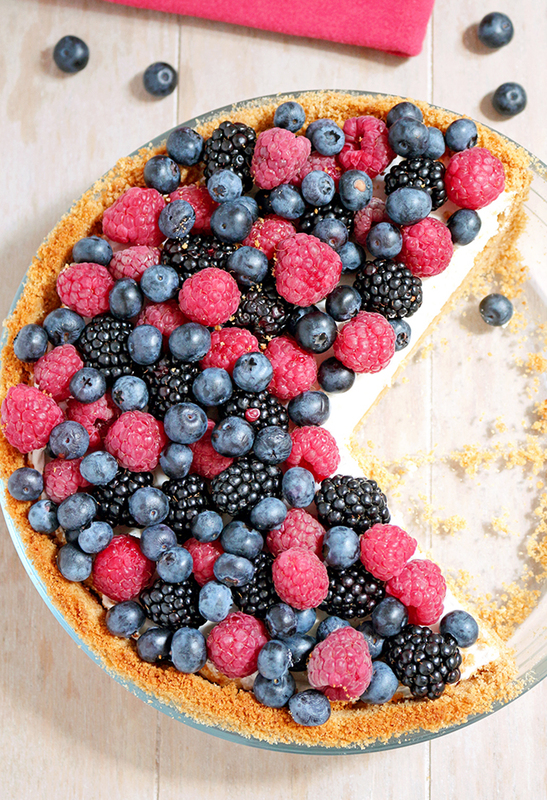 Make the best of fresh berries season and prepare this delicious pie. 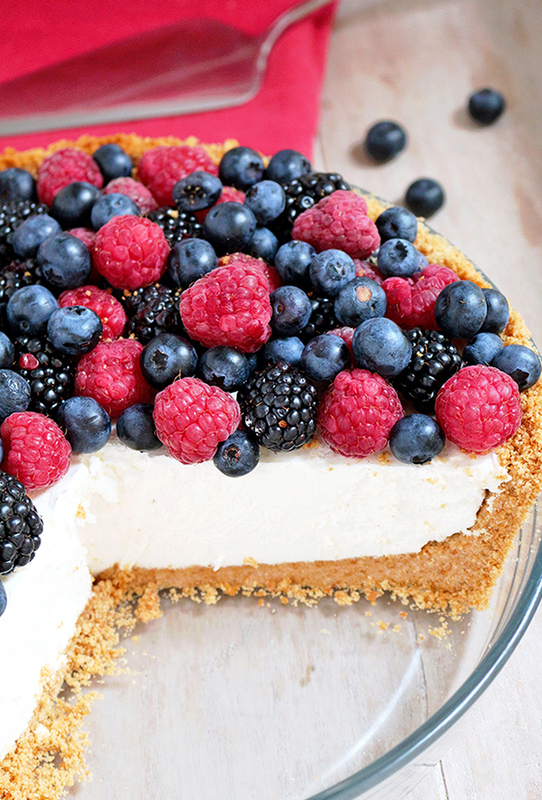 Summer Berry Cheesecake Pie is very easy to make. Graham crackers crust is homemade, but you use ready – made one, as well. 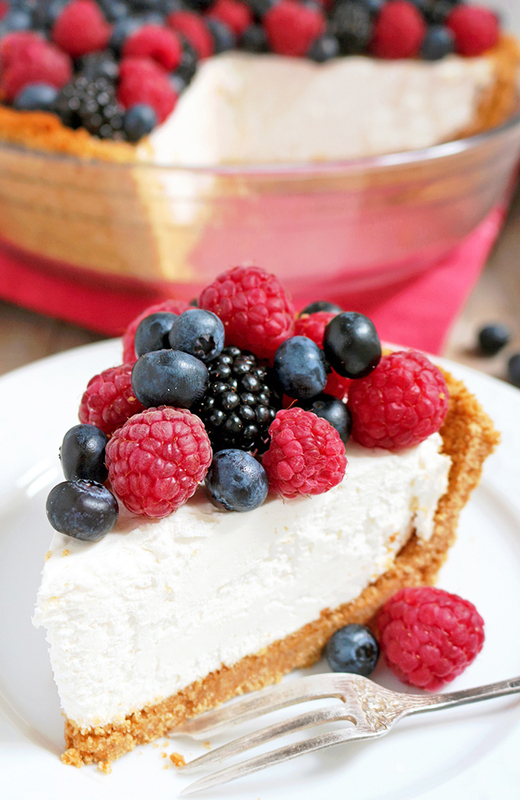 Summer Berry Cheesecake Pie is light and refreshing, perfect for hot summer days. It is not only easy to prepare, but rich in vitamins and minerals from berries, as well. Berries are very healthy and they also look nice. 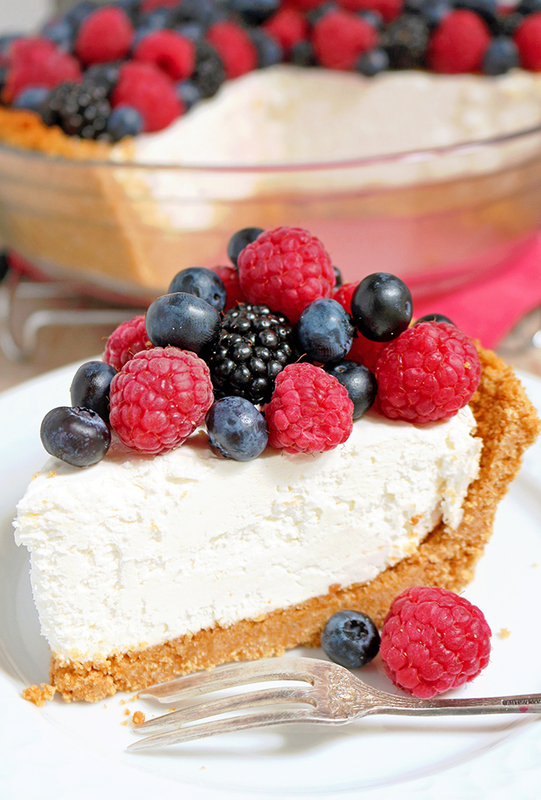 Summer Berry Cheesecake Pie is great for some special occasions like Memorial Day or 4th July. Berries take a special place in my fridge, as well as in my cooking. I will also share some of my most popular recipes with berries, like Strawberry Blueberry Icebox Cake and Blueberry Cheesecake Chimichangas. Preheat oven at 350 F. In a medium dish put crumbled graham crackers, melted butter and cinnamon. Stir well. Spread evenly in a 9 inch pie pan. Press firmly with a solid object to make a fine layer. Bake for 10 minutes. Take out of the oven and let cool completely. In a large dish, mix heavy cream with an electric mixer, minimum speed, for about a minute, then, 3-4 minutes at maximum speed, until it becomes stiff. In a separate dish put cream cheese and powdered sugar and mix for about 1-2 minutes, at medium speed, until creamy. Add lemon juice and continue mixing. Finally, add heavy cream you have already prepared. Stir well. Spread evenly over the graham crackers crust. Leave it in the fridge for minimum 4h. 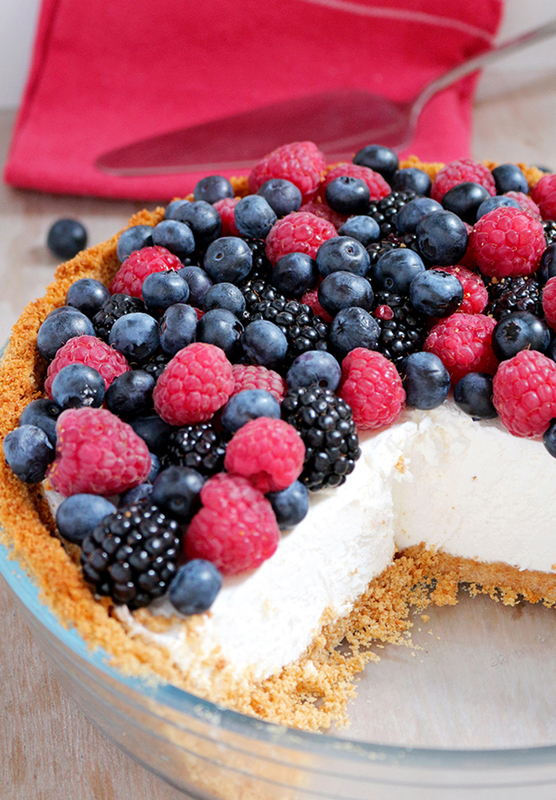 Put fresh berries over Cheesecake filling before serving.